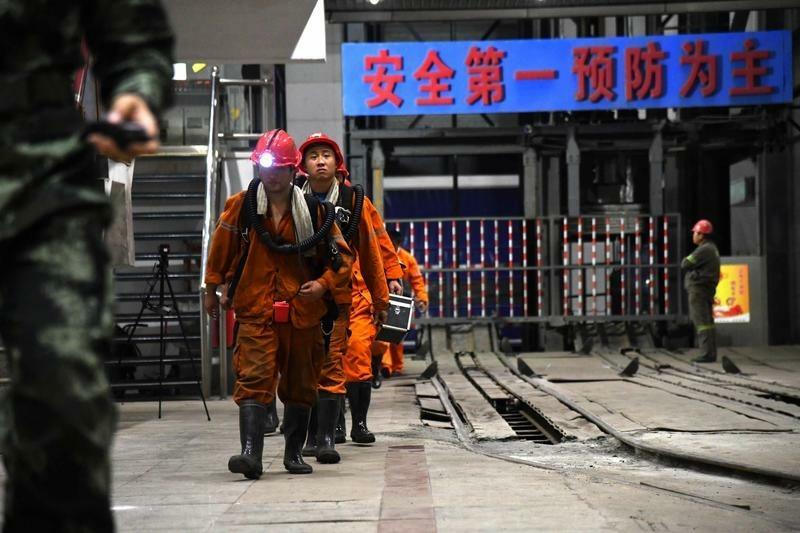 The final death toll from a rock burst and tunnel collapse at a Shandong coal mine ten days ago has risen to 21 after the last two bodies were discovered on Monday. There were 334 miners working underground at the Longyun coal mine in Yuncheng county, Shandong, when the incident occurred late at night on 20 October. Initial reports said 22 miners were trapped when a rock burst in the mine blocked both ends of the 74-metre drainage tunnel they were building. Only one miner survived. Rescuers leaving the Longyun coal mine on 21 October. The sign reads “Safety first, give priority to prevention.” Photo, China Daily. The Longyun incident is believed to be the most serious coal mine accident in China so far this year. Of the 69 coal mine accidents recorded on CLB’s Work Accident Map in 2018, the previous highest death toll occurred on 6 August, when a coal dust and gas explosion at the Zimujia coal mine in the south-western province of Guizhou killed 13 coal miners and injured seven others. All other accidents involved less than ten deaths. Although coal mine safety in China has improved dramatically since mid-2000s when up to 6,000 coal mine workers died each year, accidents are still commonplace and death rates are still far higher than in developed countries. The number of coal mine deaths in China dropped by 13.2 percent in the first eight months of the year to stand at 211, according to official figures, while the total number of deaths for 2017 was 375. It is clear that further improvements are necessary in order to ensure that preventable accidents are eliminated, miners are given proper training, and that contingency measures are in place in the event of a tunnel collapse or flooding, like the incident in the Longyun mine. However, the Chinese government seems to put more emphasis on disaster response rather than disaster prevention. The State Administration of Coal Mine Safety has now been merged with the Ministry of Emergency Management, which was established in March this year to coordinate and oversee the response to a broad range of natural disasters, and major transport and workplace accidents. Deputy Minister Huang Yuzhi is reportedly in charge of the Longyun rescue efforts. As part of the response, the provincial government ordered 41 other coal mines in Shandong to stop production for security checks. However, such checks are often pro forma affairs and even if problems are uncovered, there is no guarantee they will actually be rectified. Indeed, it is not uncommon for accidents to occur in businesses that have failed safety checks but refused to address the problem because of the costs involved.